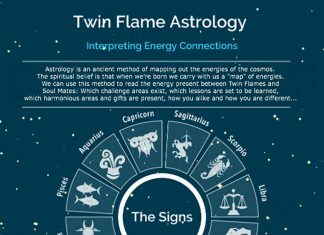 Relationship complications between Twin Flames – how to resolve love situations for the highest good of everyone involved; a higher perspective from spirit. This is another question I get from dozens of Twins every single week: What if I’m married to someone else, or what if my Twin is in a relationship with another? How can we resolve this? It’s actually very common for one or both Twins to be in preexisting relationships before meeting each other. Spirit is eager to show us all that even those situations we on earth think are difficult and where we perceive it as impossible to avoid someone getting hurt – if we take a higher perspective and approach things from the higher vibrations, we can ensure outcomes that are in alignment with love. No matter how unlikely it might seem from the start. Many Twin Flames meet their divine counterpart at a time in their lives when they are already in a relationship. This is natural, and we encourage you all to not feel bad or guilty for having loved and maybe even still loving another. Love is a positive thing, and there is always something to be learned in a relationship. You are not wrong for having loved or loving someone who is not your Twin Flame. Please release any guilt or shame around this, as those energies are of a low vibration and will only hurt you. This also goes for those of you whose Twin is in another relationship for some reason – it is an expression of their shifting energy. They may still be in alignment with that, but it is changing. The journey goes back to each other, not further away. A Twin Flame who is seeking away from their divine counterpart is out of balance, and any negativity such as “running” is a sign of this. The Twin Flame journey is steered firmly towards eventual Union, that is your soul’s plan. This is why so much negativity is pushed up for you on your journey – to bring you back into balance and harmony so you can come together yet again. Remember that this journey is a process. Once you and your Twin meet and Twin Flame Ascension is triggered, your energy starts to shift and you will very likely shift out of alignment with many of the things and relationships that you were in alignment with in the past. This goes for the both of you. In Ascension it is common to choose to leave behind those things that belong to the past in many ways. Your Soul is steering the ship more, and among Twins there is one very clear aim your Soul has for this lifetime – to reunite with your mirror self somehow. Often Twins find themselves in limbo periods between the old and the new, and this can be challenging. The advice we want you to always have in mind – especially in situations like this – is to hold the intention of the highest good for everyone involved. Focus on pure bliss for everyone. Do your very best to steer clear of the “normal human reactions” of worry, concern and stress because these only align you with negative potentialities. Holding the highest good of everyone involved in mind will help more than you can ever imagine because it aligns you with positivity and opens the situation up to “miracles”. Smooth transitions. People falling out of romantic love with their spouse yet still supporting them and wanting what’s best for them. Mutually calm endings to marriages or relationships which have outgrown their purpose. Asking for guidance and protection from your spiritual guidance team in this situation is another big help. Because of the Law of Free will, spirit cannot step in unless you ask. And remember, once you ask, step aside with your energy. Take your energy back – this is what’s called “to let go” – so that the situation can be open to the benevolent help of guidance and the supportive energies of the universe. What Are You Aligning With? At any given moment of your lifetime on earth you are at a crossroads. Every minute, every day, every choice is a crossroads. As an energetic being in a human body you exist at the nexus of a network of potential futures. Each choice you make aligns you with a particular energetic future. Good or bad. Light or heavy. What determines which path you take, is the energy and emotion you hold from moment to moment. You can at all times align with the most positive, loving, happy future available – by getting into and staying in the corresponding energy vibration. Your choices align you with either happy or unhappy “futures” and developments. In challenging situations such as the one mentioned here, it is crucial for you to hold the best possible outcome in mind and rid yourself of fear, worry, concern, pity, panic, all of those negative and constrictive energies. Do your utmost to clear these out of your space and to align with the energies of joy and love and happiness and peace. This will get you an infinitely more pleasant outcome to this transition. This is why we say everything is possible on the Twin Flame journey, but nothing is guaranteed. You make the choices. We in spirit steer you in certain directions, encourage and nudge you to make choices that benefit you. But it is always your choice. You choose whether to worry or to be happy. You choose whether to focus on a brilliant future or a negative past. This might sound harsh but you have entered soul contracts with each of your guides, tying them to not help you more than necessary in certain crucial situations. You see, as a Soul, you were fiercely brave and ambitious when setting out on your adventure on Earth with your Twin: you wanted to learn and grow and develop as much as possible. Both for your sake and your Twin’s. So you have the choice. Making choices is what leads to the evolution of the Soul. Some of the results of the choices you made in the past before you and your Twin encountered each other and were triggered to start the purification process of Ascension, are still present in your life today. These can include marriages, love relationships, friendships you start to grow out of as you come into your Soul Purpose fully. We want you to know there is nothing wrong with a relationship ending and another beginning. Love is never wrong. The issue is how to best deal with these situations for the highest good of all involved. 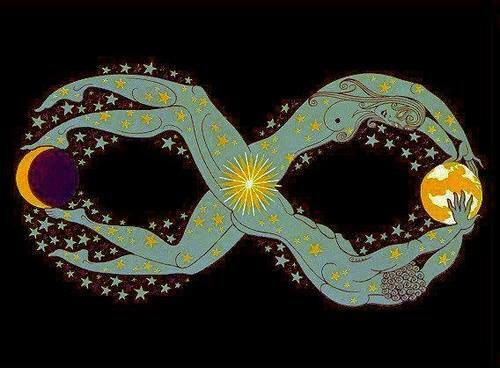 As you and your Twin align more and more with your shared Soul Frequency (this happens gradually during Ascension, even for those who do not willingly seek it out), you will be more and more drawn to each other. Ego might tell you this is dangerous or wrong, and karmic patterns may trigger fear as often happens with “running”, but this is simply a part of the journey on the way back to each other. These negatives are symptoms of old energy that needs resolution. The tools you need to deal with this are available any time you choose. Our advice is, get to work so you can get to the happy part of your journey sooner. It’s simple. Energy is everything. Once your energies are balanced, you are “whole”. There is no running or chasing or strife or separation or stress. All those things are symptoms of imbalances and wounds in the energy field. Which can be resolved. Our advice is: Know what you want from your journey. Write it, paint it, sing it, dream it, visualize it. And hold that wonderful feeling in your heart whenever you can. Stay in the high vibrations. And you will inevitably attract those positive developments which are in alignment with that. It’s simple. It’s energy. All of our blessings to you in this challenging situation. We know you can do it. Never be afraid to ask for help and support. We are here for you whenever you need us. 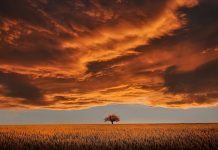 To begin shifting and uplifting your Twin connection into a place of harmony, download the Free Help Kit for Twin Flames. You can also read here about the amazing experiences other Twins have had with energy tools.